With all pranayama practices, it is important to listen to your body, only practice for as long as comfortable and never strain in any way. Sit in a comfortable seated position with the spine neck and head in alignment. Have the eyes lightly closed. Exhale through both nostrils with a forceful contraction of the abdominal muscles. Let the following inhalation take place passively by allowing the abdominal muscles to relax. Have the inhalation as a spontaneous recoil, involving no effort. Continue in this way for ten breaths then take a few natural breaths. This is one round, practice up to five rounds. Jala neti is a process of cleansing the nasal passages with salt water. This encourages easy breathing so that air can enter the lungs unimpeded by mucus or built up dirt. 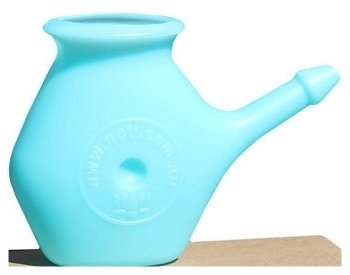 A lota (small pot with a long spout) is used to pour water into the nose. It is generally made of brass, though any other suitable material can be used which does not contaminate the nose and body. Clean, salty, lukewarm water (at body temperature) is poured through the left nostril. The head is tilted to allow the water to flow through the nasal cavity and out through the right nostril. The spout of the lota is then inserted in the right nostril and the procedure repeated. Note: one teaspoonful of salt is used per litre of water to make the solution isotonic. This prevents water being absorbed into the nasal blood vessels and prevents irritation of the sensitive nasal membranes. The passage of water through the nostrils washes the whole mucus membrane of the nasal cavity. All the sinuses and structures in the nose are given a soothing bath and are thoroughly cleaned. At the same time the nerves and blood vessels are stimulated. Neti has been used successfully to treat the following ailments: colds and coughs, eye ailments, nose ailments, throat ailments, sinusitis, tonsillitis, catarrh, adenoid inflammation, headache, insomnia, tiredness, migraine, epilepsy, depression, tension, lung diseases (asthma, pneumonia, tuberculosis and bronchitis), facial paralysis. Practice abdominal breathing by drawing the air into the abdomen, using the diaphragm muscles. Accentuate the movement in the abdomen whilst keeping the chest still and relaxed. Once established, begin to breathe quite forcefully in and out through the nostrils. During inhalation, the abdomen expands, exhalation, the abdomen contracts. Sit in a comfortable seated position with the sine neck and head in alignment. Join the lips together, separate the teeth slightly and relax the muscles of the jaw. Raise the arms out to the sides, bend the elbows and take the hands to the ears. Use the middle or index finger to exclude the ears. Exhale slowly while making a steady humming sound. Practice up to 15 rounds of breath. 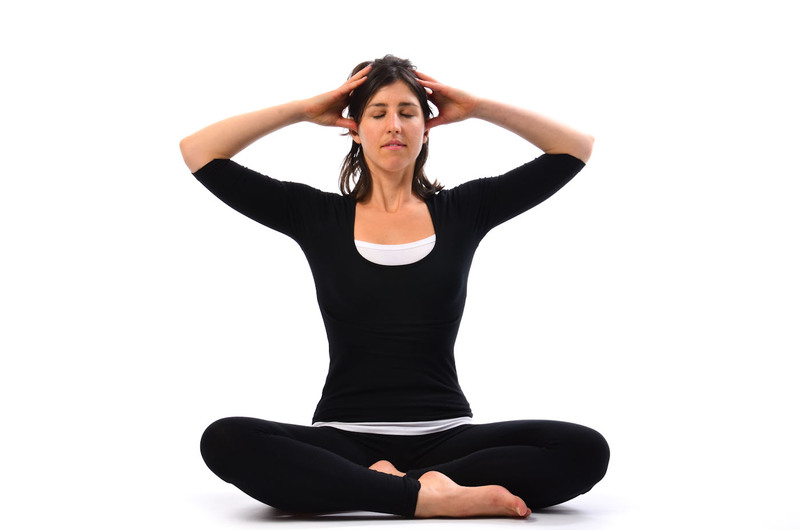 Sit in a comfortable seated position with the spine, neck and head in alignment. Extend the tongue outside the mouth, as far as comfortable. Hold the teeth lightly together. Separate the lips to expose the teeth. Inhale slowly and deeply through the teeth. At the end of the inhalation, close the mouth and exhale out the nose. Roll the sides of the tongue up so that it forms a tube. Inhale slowly and deeply through the tongue. At the end of the inhalation, draw the tongue in, close the mouth and exhale out the nose. Adopt Nosetip Position (Nasagra Mudra) with the right hand and place the left hand on the knee in chin or jnana mudra.